I've stated my weakness for a classic greasy spoon diner here before. So it's no mystery why I find this latest Iron Builder MOC from Pepa Quin so appealing. But this goes beyond just sentiment here, this is an outstanding build. 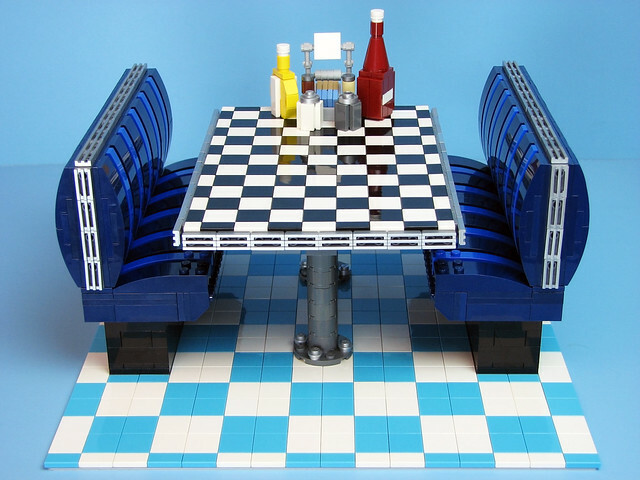 Look at the simulated seams in the upholstery done with half stud offsets, the classic metal bands around the benches, the bolts on the base of the table and the condiments, this is stunning work.